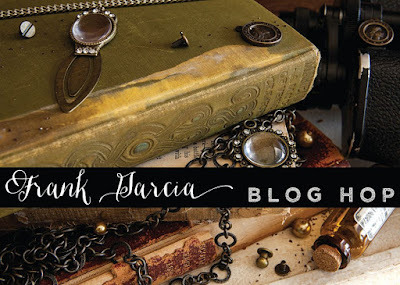 Welcome to the Frank Garcia International Scrapbooking Day Blog Hop! 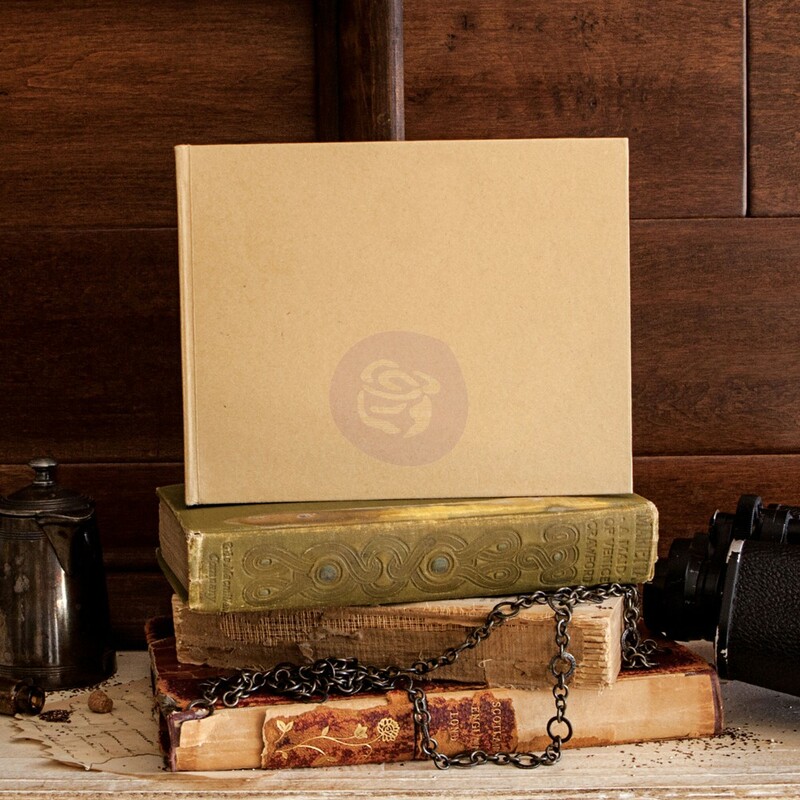 We have some surprises in store for you in this hop! 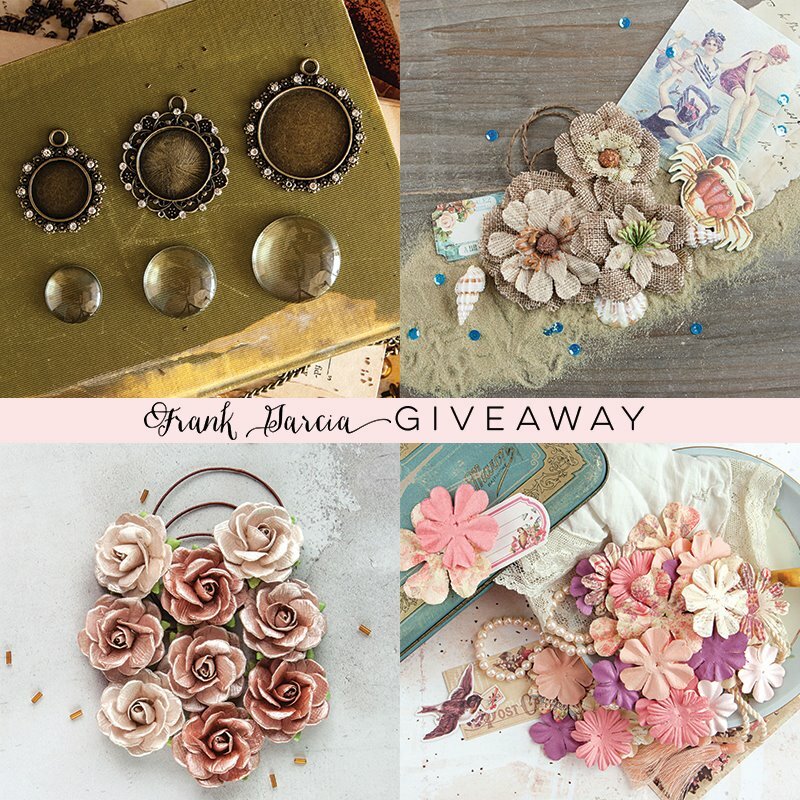 We are featuring some of our favorite Frank Garcia projects from the design team and we also have a giveaway up for grabs! 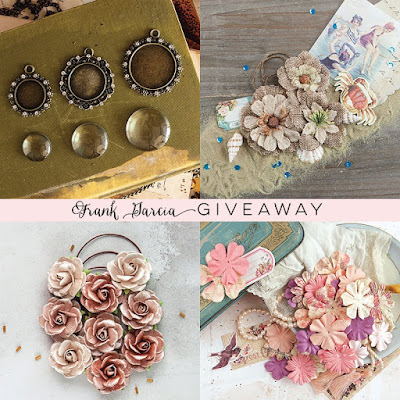 We will be starting on the Prima Blog, simply follow along on each blog, leave a comment and/or follow each of the fabulous designers to be entered to win! Winner will be announced on May 15th! Good luck and have fun! 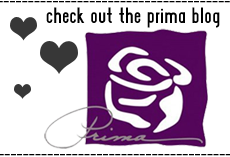 Start at the Prima blog and make your way through all of these fantastic blogs and then end where you began! 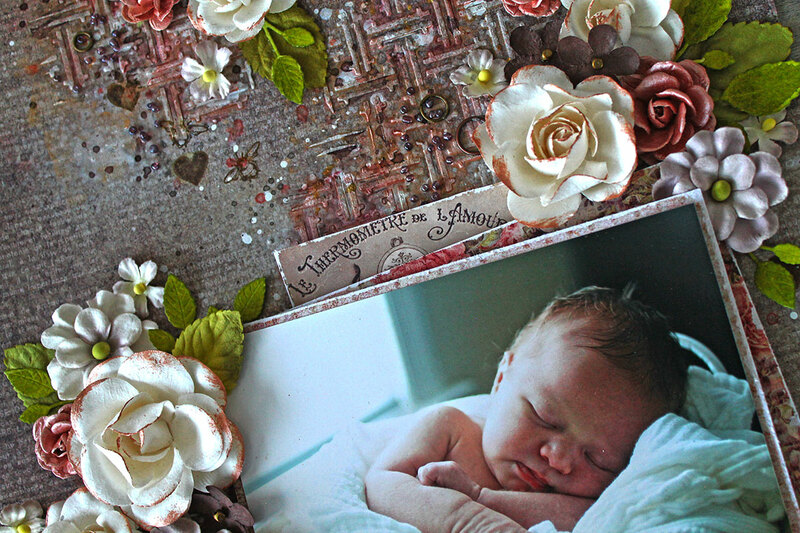 I created this album using 4 large chipboard tags by Prima-they come in a packge of 12, so that works great if you want to make a few of these little beauties as gifts! I made the pages in accordian style tied with seam binding. The silky ribbon makes it easier to fold and unfold without catching. 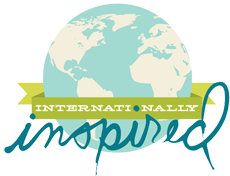 If you would like to take a peek at how this was made-see the class right here! 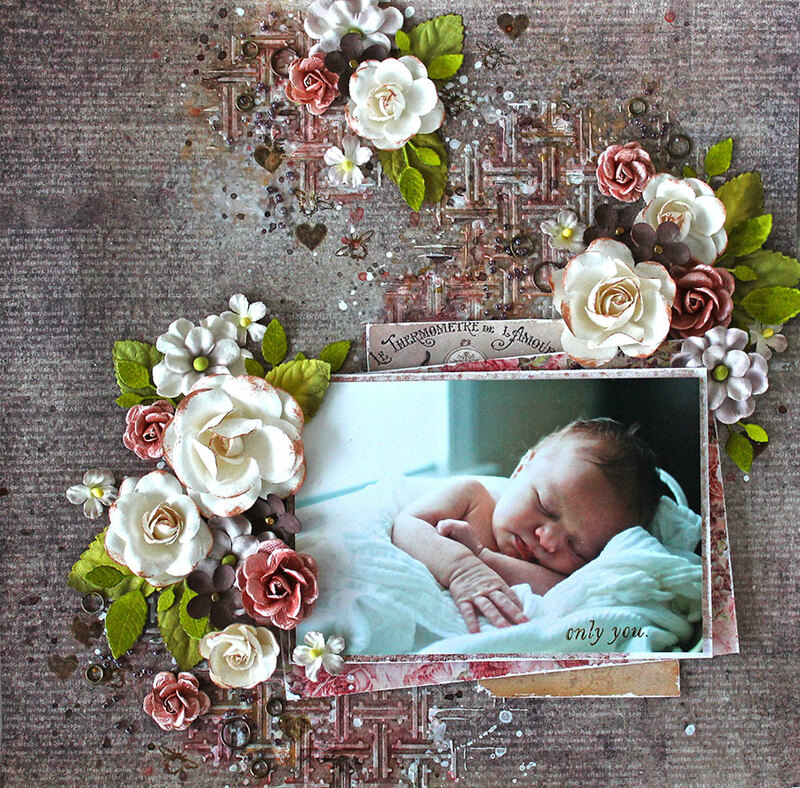 I created the project during the class from start to finish, along with fun ideas and techniques to try for your self! Now head on over to visit Beatriz-she has a beautiful project waiting for you! Today, I wanted to share an album I created recently for CHA. 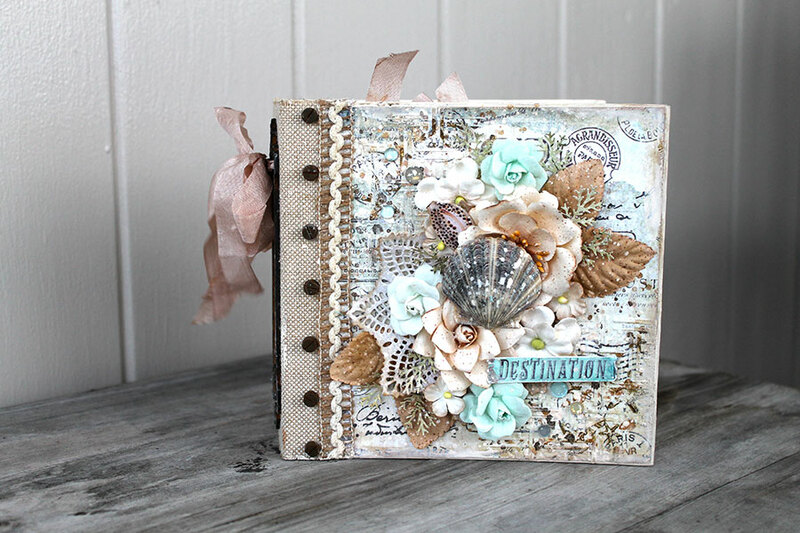 I used Frank Garcia's French Riviera collection newly released by Prima. This collection is vintage style by the sea-it reminds me of some things I would see in Cape Cod back in the days...the old days. 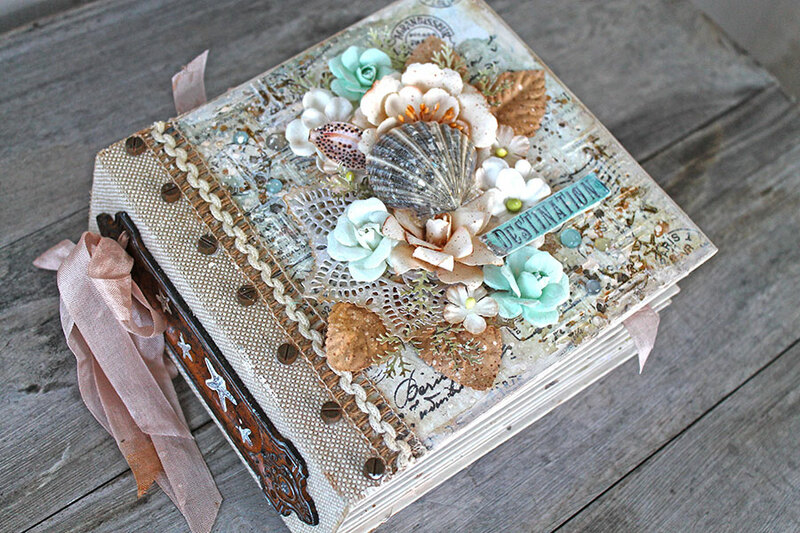 For the base-I used one of the Memory Hardware albums by Frank Garcia-it's a heavy weight chipboard album with lots of pages inside-ready to customize! My boys have collected shells from our previous vacations over the years. 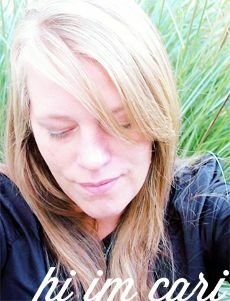 I decided to incorporate them into the design-they add an organic touch and they were hand picked by my children which makes it even better! I love the texture from the burlap and raw trims as well as the metals with the rust finish. They look like they have been weathered for years by the sea. 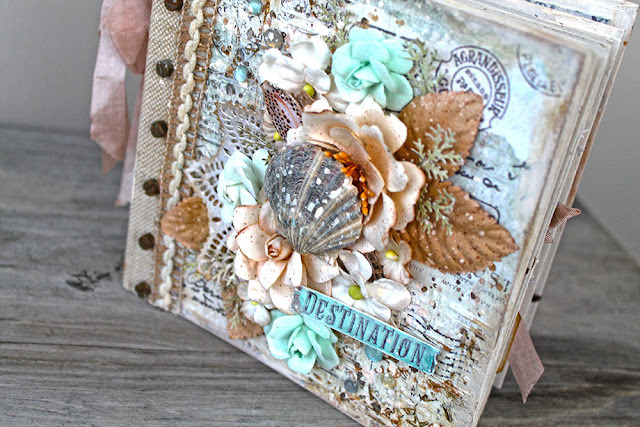 French Riviera is what I used throughout the book for the seaside theme. This is a peek at the inside cover and first page. 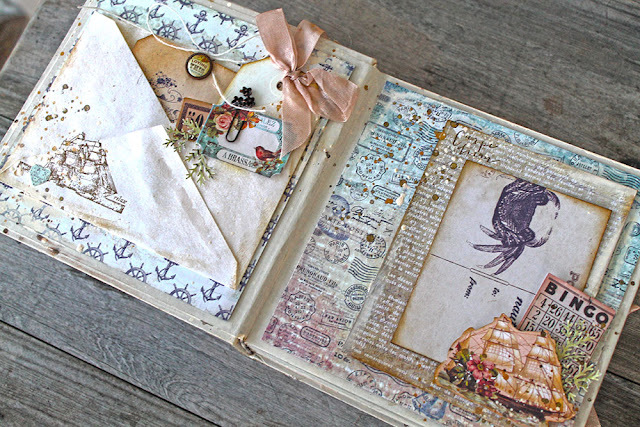 I always like to layer ephemera, paper pieces and fun bits to make up the pages for a unique look. 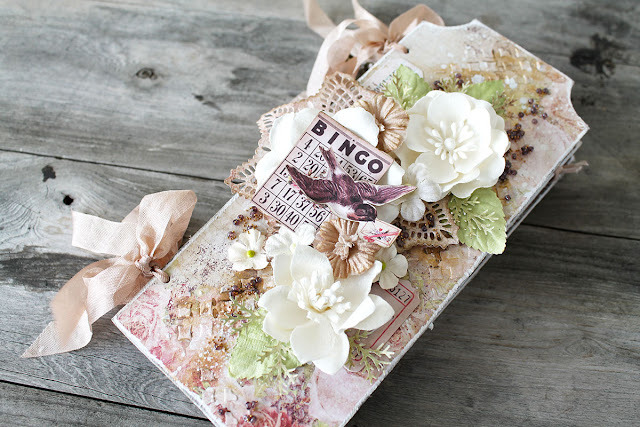 Adding splatters and spots make everything more interesting too. 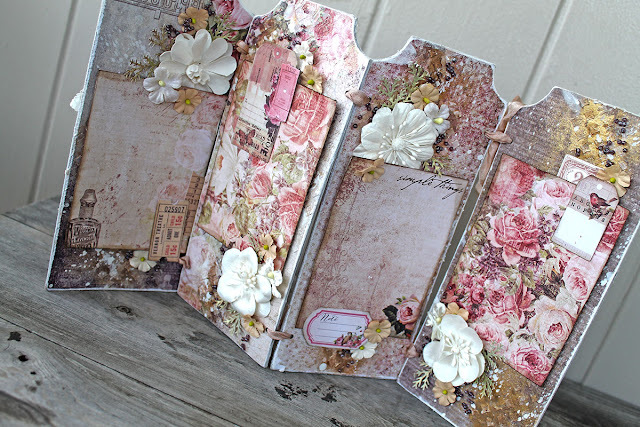 Another shot of the cover so you can see some of the dimension added to the front with handmade flowers, die cuts, stickers and more. This is probably one of my favorite projects to date...now all that is left to do is add some special photos.